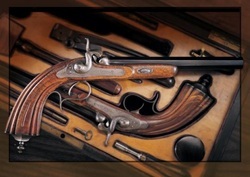 Lion's Den Arms & Antiques provides excellent service along with clear and distinct solutions. We have been serving you for over 8 years in the field. Our event locations lend themselves to the many challenges that you face while on the reenacting field. business you return to with confidence. Please call for your Estimate. for his full page articles. Any time while at an event you can see Les demonstrate for the children. He offers skill and humor while provide safe information. 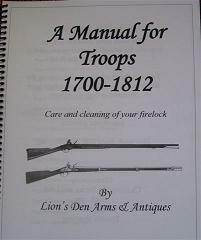 His writings are on the safe maintenance of your firearm while cleaning , using and storing. Fort York, Smiling Fox Forge and cannonsplus.com and on site with Lion's Den Arms and Antiques.